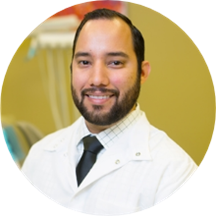 Dr. Jorge Cabrera Arellano is a dentist practicing at multiple locations across CA. He received his dental degree from the Universidad DeLaSalle Bajío. Dr. Cabrera Arellano is an active member of the American Dental Association and the California Dental Association. Patients currently see him at West Coast Dental & Orthodontics. He is passionate about dentistry as he believes it incorporates art and science to improve a patient's overall health. Patients see him for a spectrum of reasons, including root canals, dentures, fillings, dental cleanings, and halitosis. Dr. Cabrera Arellano endeavors to make dental visits a low-stress experience with quick, quality treatment and minimal discomfort. He helps patients receive the treatment they need. Outside of dentistry, he loves traveling, sports, and video games.